Today is the dreaded day ... 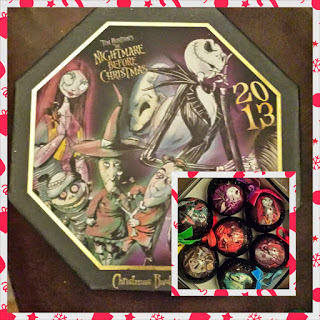 Dreaded in that its time to decorate the tree. 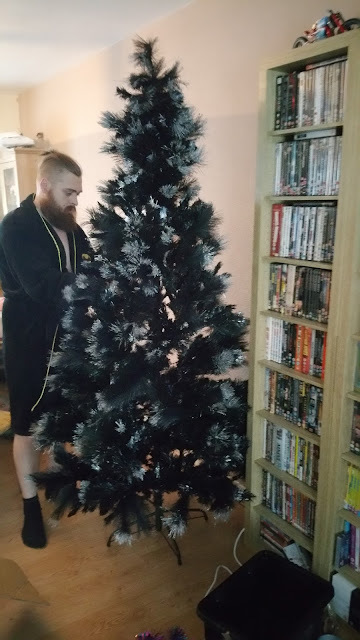 I enjoy it once its up but the putting up and dismantling of the tree is the thorn in my festive paw. 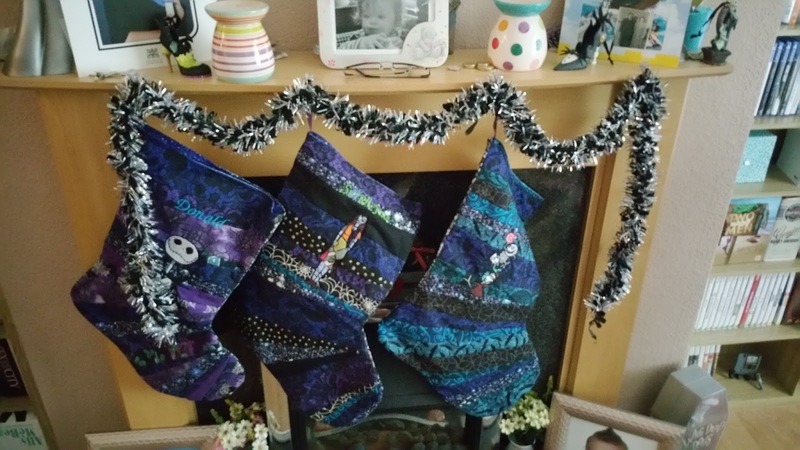 But i get grief if i don't put it up so after breakfast, Agent D went up to the spare room and brought all the boxes down. Thankfully he was willing to do the heavy lifting and the high up stuff ... I have to admit i do love our new tree that we got last year. I know black isn't a "traditional" Christmas colour but with the silver glitter and the colourful babbles ... It works! 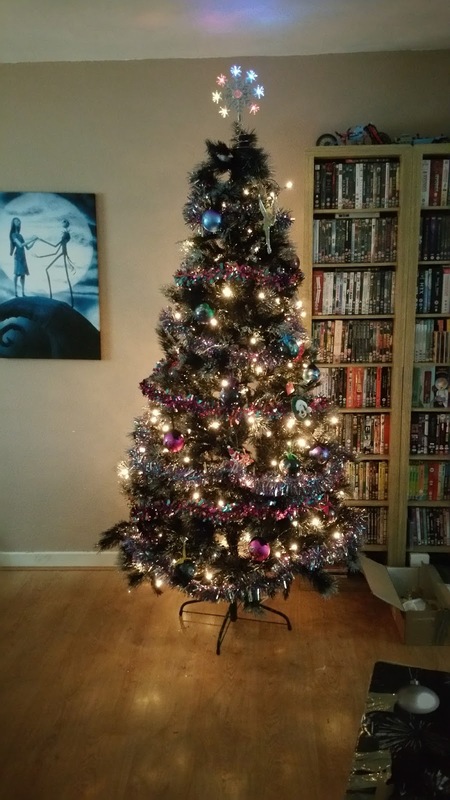 I also bought some new tinsel this year that matches the colours of the baubles perfectly to so even though its a black tree its still quite colourfully decorated. 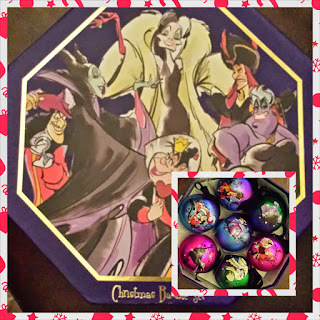 I'm thinking though that perhaps in the new year i might try to get a few more of the baubles from the Disney shop if they are on sale as i love the Disney theme. Maybe some Olaf?